All core faculty members have extensive senior experience in international consulting and advice, including about every international donor and finance organization. The close links between the programme and research and innovation projects of our department – from fostering the Digital Single Market in the EU through cross-border data sharing based on the ‘once only’ principle and collaborating with the cities of Tallinn and Helsinki on different smart city initiatives to rethinking economics and innovation based on the ecologically sustainable commons-based ‘design globally manufacture locally’ approaches – guarantee that the content of our teaching is always practical and ahead of mainstream textbooks. Please see a full list of faculty members on the left. 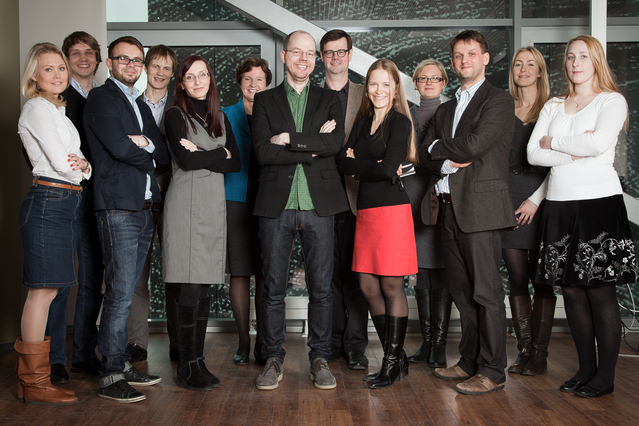 Academic staff of the Ragnar Nurkse Department of Innovation and Governance in Spring 2012.